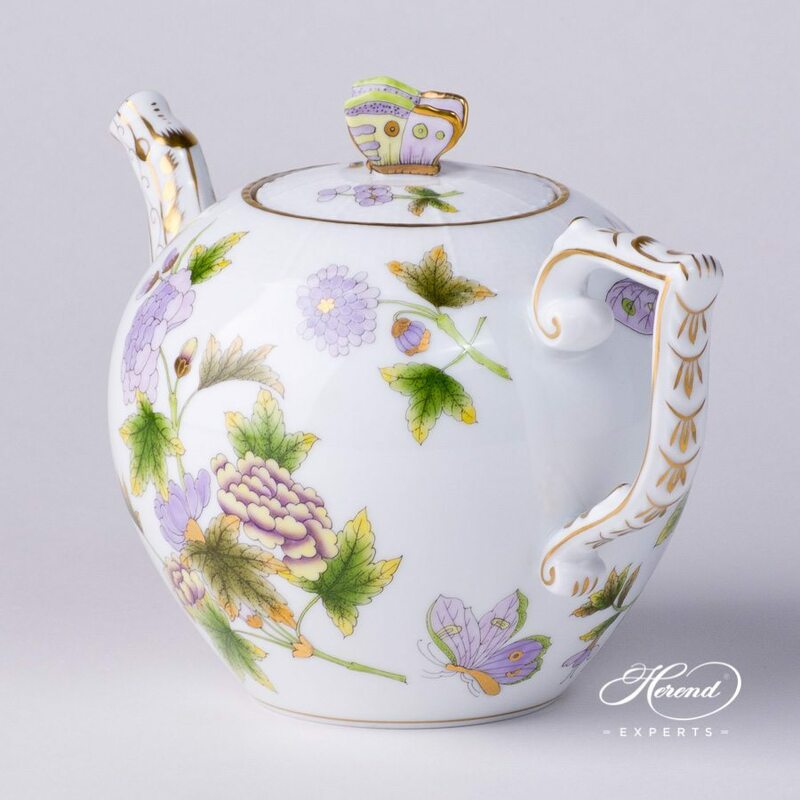 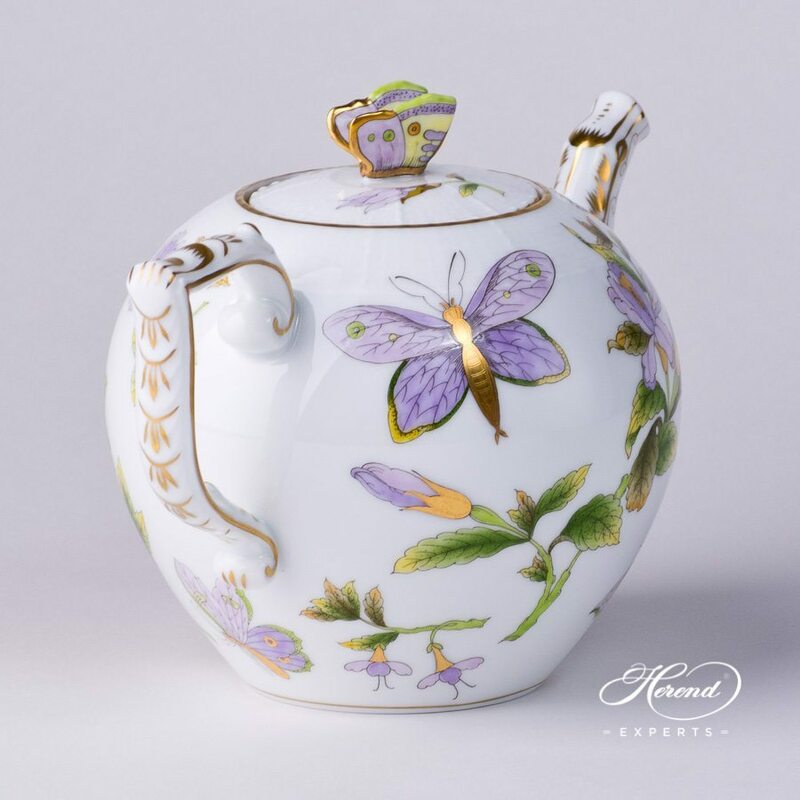 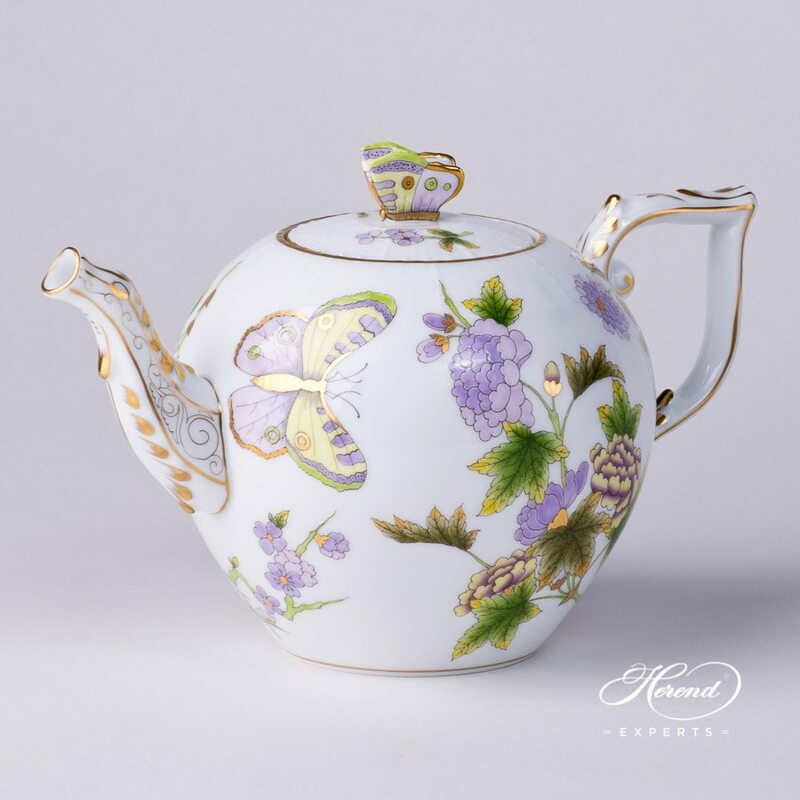 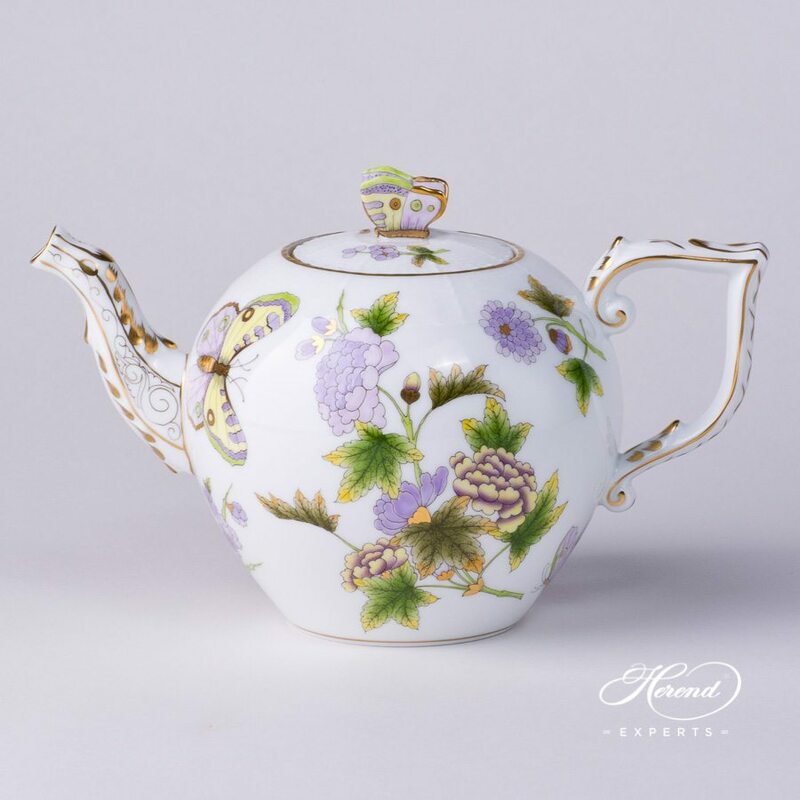 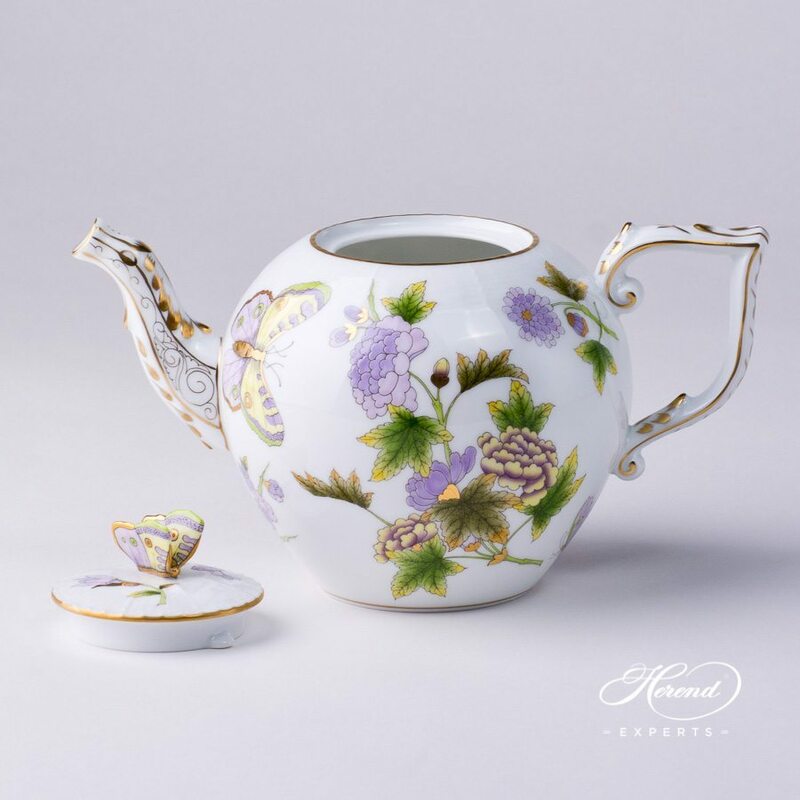 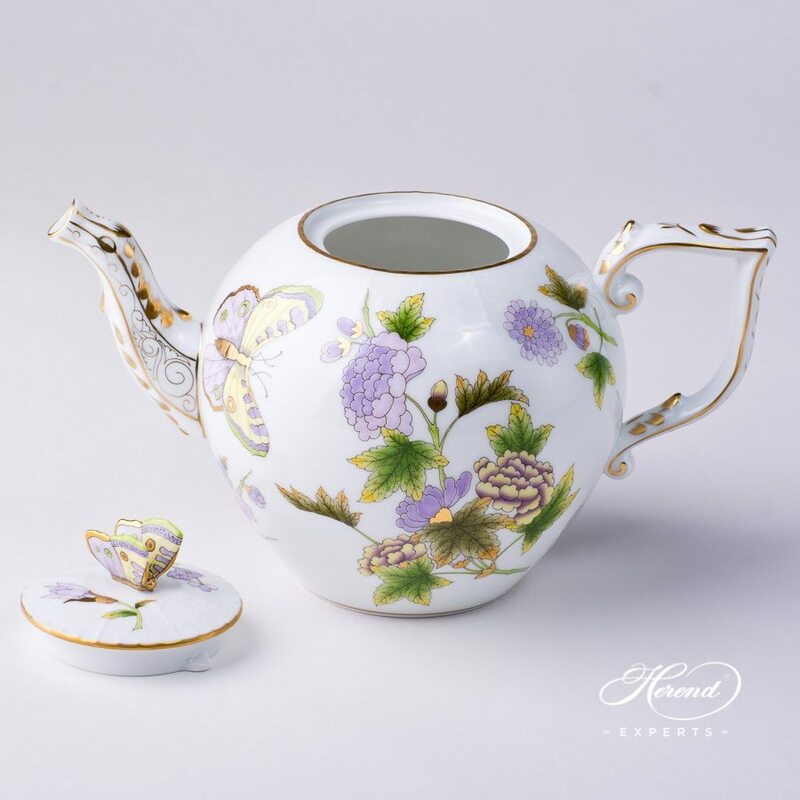 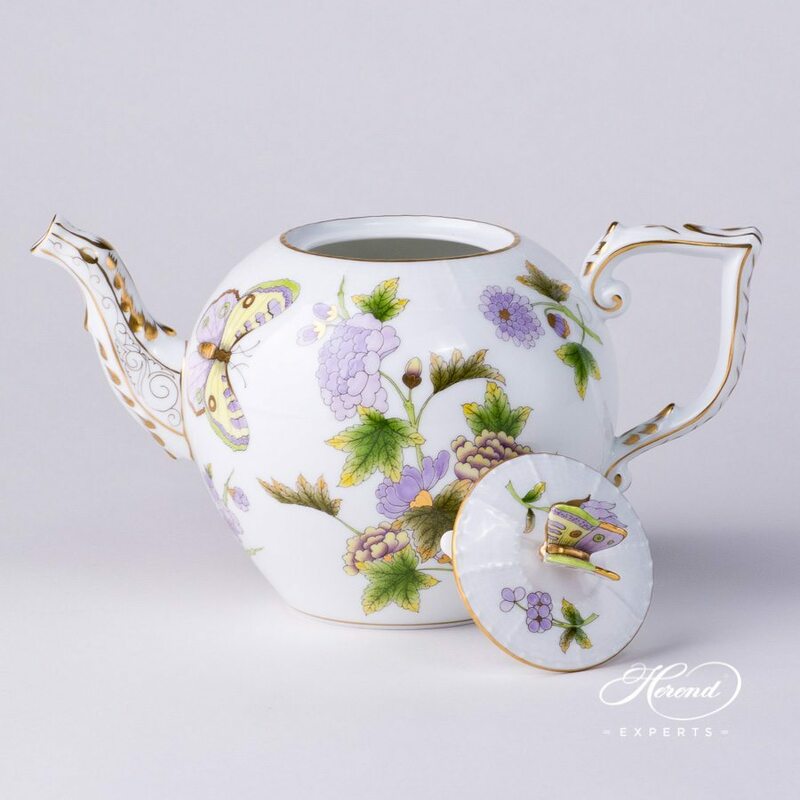 Herend porcelain Tea Pot w. Butterfly Knob – Herend Royal Garden Green design. 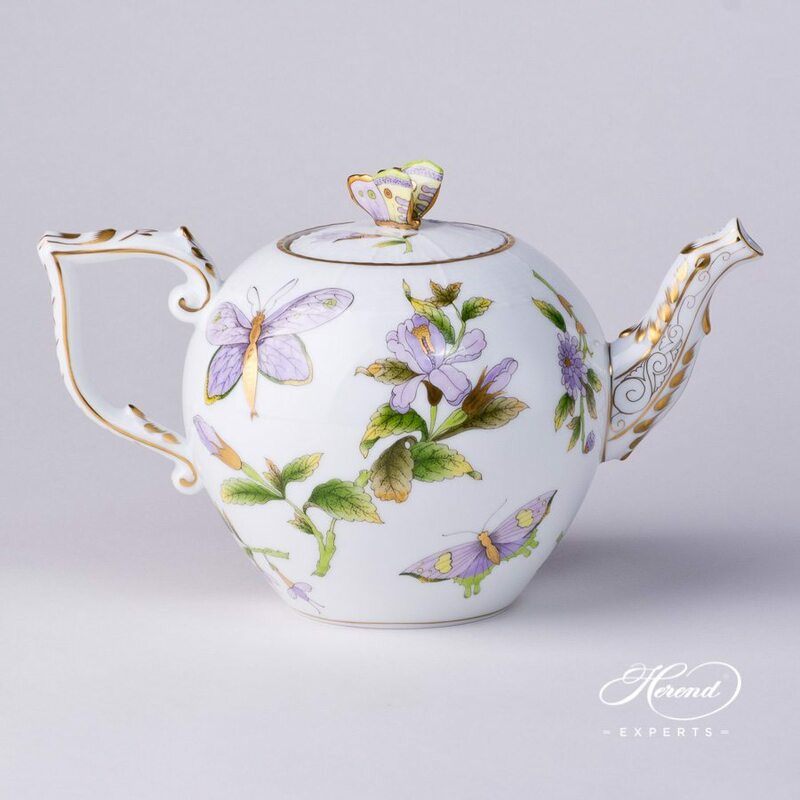 In Chinese tradition Butterflies represent Immortality, since Taoism regards Wings as the expression of Eternity. 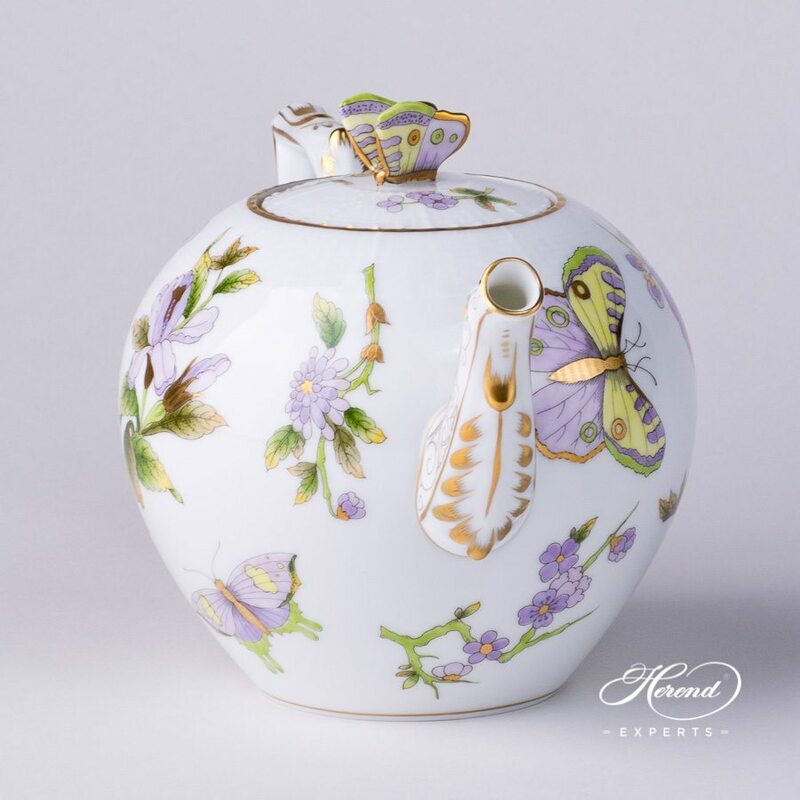 Applied to create the Two Versions of the Decoration, the unique pairing of Turquoise EVICT2 and Green EVICT1. 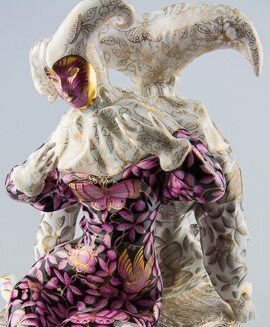 EVICTP 1-2 means, Butterflies only. The pairing of the two sets of tones are cool and warm colors.